June Navarro, toils daily in a dead-end job. Her only ‘family’ are her co-workers and a ne’er-do-well brother. But she is committed to them as she strives to find her way in the world. 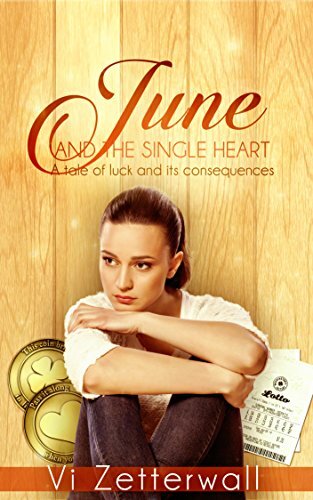 On one work day, she comes into possession of the Coin of Luck in Life and Love and the next six months are filled with a series of events she could never imagine. The man she once loved returns to her and good fortune smiles. But trouble looms ahead and June’s ability to deal with adversity is put to the test. 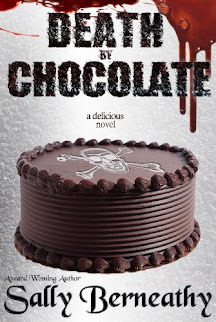 She learns that not all is good in paradise and sometimes you have to make your own luck. This romantic novella, the sixth in the Single Heart series, tells the tale of a young Latina woman with a big heart. That heart is tested after she scores a huge win and then must live with the consequences of her decisions. Faced with impossible choices, June stumbles as she bravely stands up to meet adversity head on. Set in Seattle, June strives to find her way and, perhaps, to find her love as well. Vi Zetterwall’s Single Heart series explores the very nature of a woman and a man’s relationship. Each book is a stand-alone story—a short novel that pays homage to the verbal foreplay that goes on early in a relationship. Vi’s novels feature unique characters facing everyday problems—and sometimes, not-so-everyday. Although the characters and plotlines are all different, there is a connecting thread: In each book, the leading lady comes into possession of the Coin of Luck in Life and Love. In ways, sometimes small, sometimes great, the coin affects her actions and all subsequent events. In your life, you have probably experienced an event that seemed inconsequential at the time but had far-reaching results. Vi’s books explore the magic that occurs when serendipity strikes and some chance meeting, a misunderstanding, an unexpected job offer or a missed phone call leads to two people finding each other and falling in love. Vi writes about relationships and the drama that comes from every conversation. The steam that rises from her books is not due to an abundance of love scenes. You won’t see many phrases discussing the male anatomy or torrid moments in the bedroom. But you will feel your blood pressure rise during the dialogue-heavy scenes between potential lovers. Your heart will ache when the leading lady’s does and you will gain the same insights about life and love as she has.